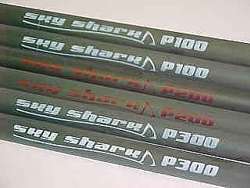 Sky Shark was created as a wrapped carbon kite tube manufacturer. Sky Shark saw a need to develop and manufacture wrapped carbon dual line sportkite frames. As their abilities improved other requirements and challenges have been taken on. Designing and manufacturing small diameter, thin wall, high tolerance tubes has evolved into an ability few companies can or want to compete with. Sky Shark Competition AirFrames are world renowned as the very best competition tubes. It is no wonder, the best flyers in the world use Sky Shark Airframes The facts speak for themselves, there is no equal to the weight to stiffness of Sky Shark. 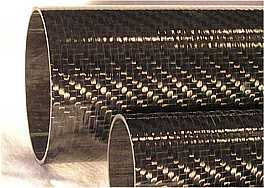 The consistent quality of the fibers and tubes offer unmatched reliability and performance. Now available in improved Competition Tapered Airframes Sky Shark is committed to bringing the the very best to kite flyers of all abilities. The new Sky Shark 90, 100, 200, 300 and 400 series continues to change the kite business. Gram for gram, they are stronger than anything else out there. Sky Shark brings intermediate to high performance kites to a new price range. Whatever level of kite you fly regardless of manufacture, use the very best frame on the market today, Sky Shark Kite Products. Sky Shark™ Straight Competition Air Frames. These tubes can be cut and ferruled anywhere using a solid carbon rod. They can also be ferruled with any of the New Tapered tubes except the 2PT. These tubes work great for building sport kites as well as single line kites.